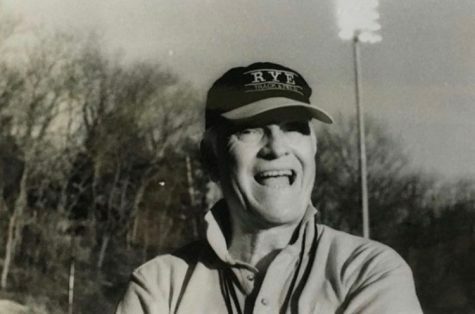 James V. Yedowitz, Rye High School?s revered Track coach, passed away on January 2, 2019, at the age of 70, after a courageous battle with pancreatic cancer. He was 70. A lifelong resident of Yonkers, he was born on March 30, 1948, the youngest of five children of Arthur and Marion Yedowitz. He ran on the track teams of both Cardinal Spellman High School, class of 1966, and Manhattan College, class of 1970, where he was captain his senior year. Track continued to be an important part of his life for the rest of his life. After teaching briefly in the Yonkers Public Schools, in 1975 he moved to the Rye City School District, where he taught until 2008. He was a middle school and high school health and physical education teacher. While he was enthusiastic about teaching, his true passion was on the track. Jim Yedowitz coached and inspired hundreds of athletes throughout his career. He was so dedicated that he continued to coach despite his illness and even gave coaching instructions from his hospital bed a few hours before his untimely death. Mr. Yedowitz loved gardening, golf, and travel, especially to a casino. He was known for his honesty, wit, dedication to family, and a true love of life. Guided by his faith and eternal optimism, he approached his cancer diagnosis fully believing he would overcome the disease and continue to live life to its fullest. He leaves behind his loving wife, Anne, of 41 years; his four children, Glenn (Garry Corrigan), Jamie (Jacob Freeman), Emily (Donal Crampton), and Daniel (Meaghen Marrama); and his eight cherished grandchildren. He is also survived by his brothers, Arthur Edwards, Raymond, and John. He was predeceased by his sister, Marianne Myslicki. Donations in Jim Yedowitz?s memory may be made to the Lustgarten Foundation.